'Us' is breaking records at the box office and Lupita Nyong'o continued promoting the film on The View and the Daily Show With Trevor Noah today(March 28th) in New York. 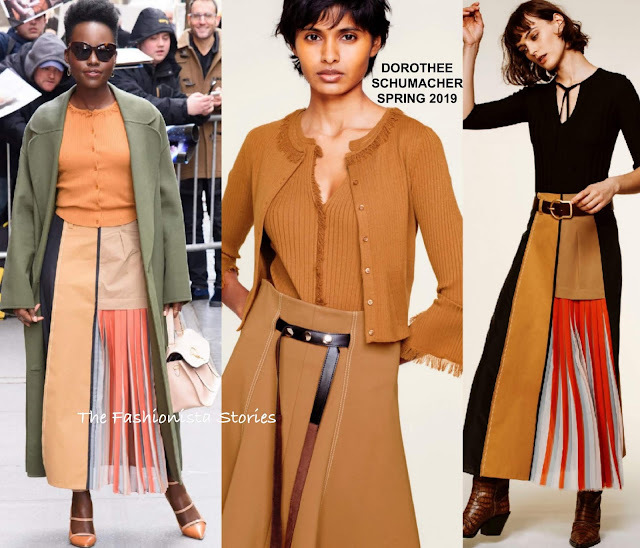 For The View, she stepped out wearing an army green wool coat and the DOROTHEE SCHUMACHER SPRING 2019 'Summer Move' caramel gold fringe cardigan and the 'Wild Patches' pleated color-block skirt. The pieces together look great but I wish she had the cardigan tucker in the skirt, and belted at the waist. Nonetheless, this was greatly styled. Dark sunglasses, MELINDA MARIA, GRAZIELA GEMS & EF COLLECTION jewelry, a MULBERRY bag and MALONE SOULIERS heels rounded out her look. Then for the Daily Show With Trevor Noah, she rocked a masculine inspired look from the ADAM LIPPES FALL 2019 collection. 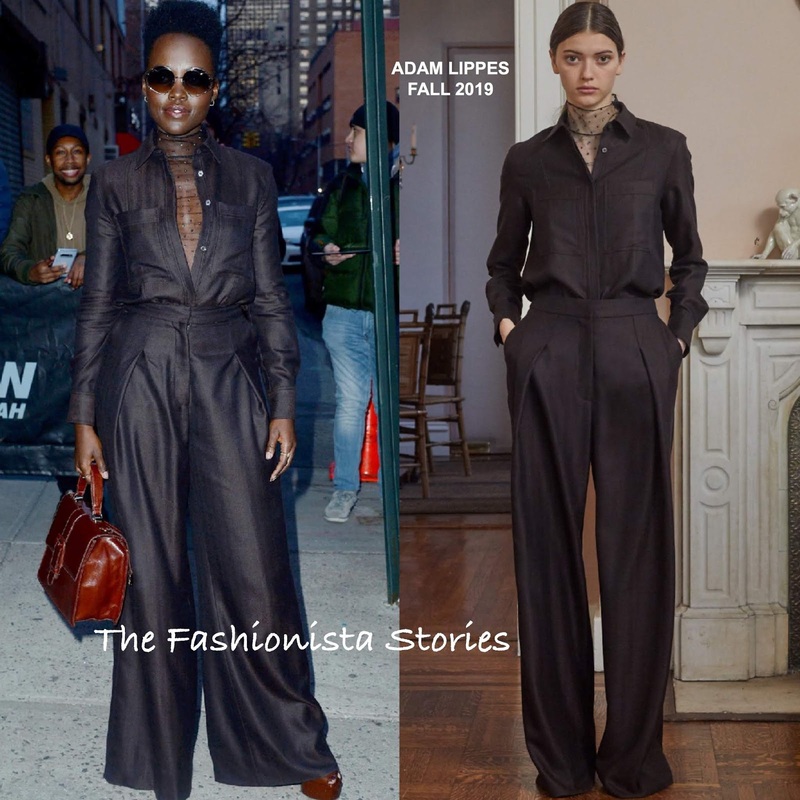 Her black silk collard shirt with an sheer polka dot organza top underneath & matching wide-leg pants, was accessorized with GRAZIELA GEMS jewelry, FOR ART'S SAKE sunglasses, a burgundy bag and GIUSEPPE ZANOTTI sandals. I easily prefer this look over the first look but the pleated, wide-leg pants don't suit her at all. Maybe if the legs were a bit slimmer.